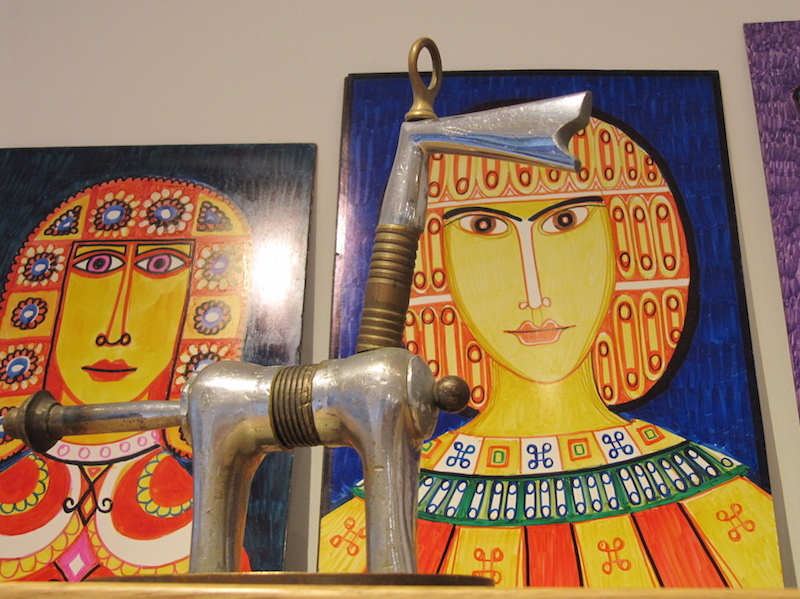 Friedrich loved constructing sculptures using scrap metal with a preference for brass and chrome. He crafted the pieces often using tap and dye to screw parts together. Most of this work was carried out in the 1960s and 1970s. To see a slide show of some examples of this work, mainly photographed at the Paul Smith, London exhibition, please click the image to the right. 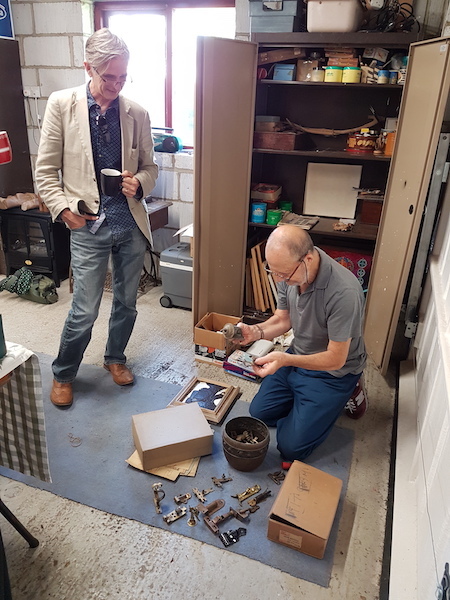 This slideshow illustrates Stephen Rothholz sorting through another container of metal constructs, during the visit of Marc Steene and Cornelia Marland of Outside In on 18 June 2018.